This message delivered by Trudeau gives out a clear green signal for all the students who aspire to get International certifications from renowned institutions. Canada has been able to provide world-class education which is equivalent to the education from the developed countries like the US and the European Union. The QS World University ranking has listed more than 26 institutions in the 'Global 100.' These institutes are housed mainly in the four provinces in Canada: Ontario, British Columbia, Alberta and Quebec. 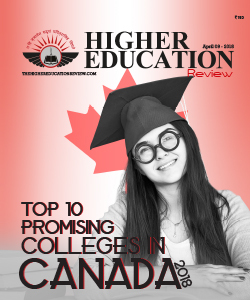 In comparison with other developed nations, Canada is considered as the safest place for International students as per the Safest and most dangerous countries ranking. To relive the International students from the stress of education expenditure, Canada is providing several Scholarships & Awards to their students. Even the educational institute provides the International students with special scholarships. But, to get these leverages, one has to choose the best institute. Most of the students get stumbled in the initial process of selecting the right institute, so we at the higher education review are trying to simplify this process. 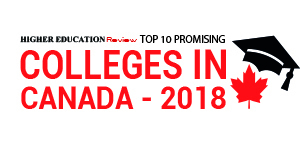 Our research team ensures that these institutes are having the required attributes (in terms of quality, rank and facilities) and have articulated a list of excellent International institutes under the 'Top 10 Promising Colleges in Canada 2018'. HEC MontrÃ©al MontrÃ©al HEC MontrÃ©al is a French-language university institution offering internationally renowned management education and research. It is recognized as one of the top business schools in Canada and around the globe. St Joseph's College Edmonton Based in Edmonton, St Joseph's College strives to contribute to building of a world in which common good of all is of paramount importance. St Lawrence College Kingston It is a college of Applied Arts and Technology which is equipped with world class facilities to facilitate students with right and conductive educational pathway. Stenberg College Surrey A college with a difference, Stenberg College is committed to deliver quality education to the students coupled with outstanding student service and variety of programs. Vancouver Institute of Media Arts Vancouver Ranked amongst top animation schools worldwide, the institute believes in transform creative minds into the best in the industry. The students are helped to gain critical knowledge and internal confidence by the faculty members.